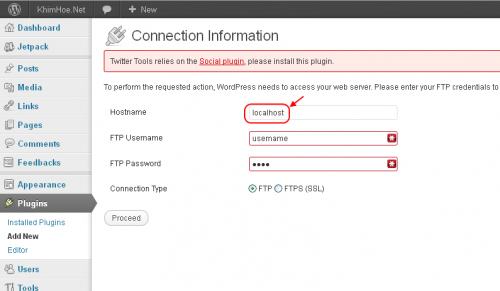 I recently face an issue updating my WordPress plugin through the admin dashboard. When I try to update the plugin, the updater screen will just stuck/hang and not moving at all. After searching high and low for it, I finally found the solution. The reason is because the FTP login. 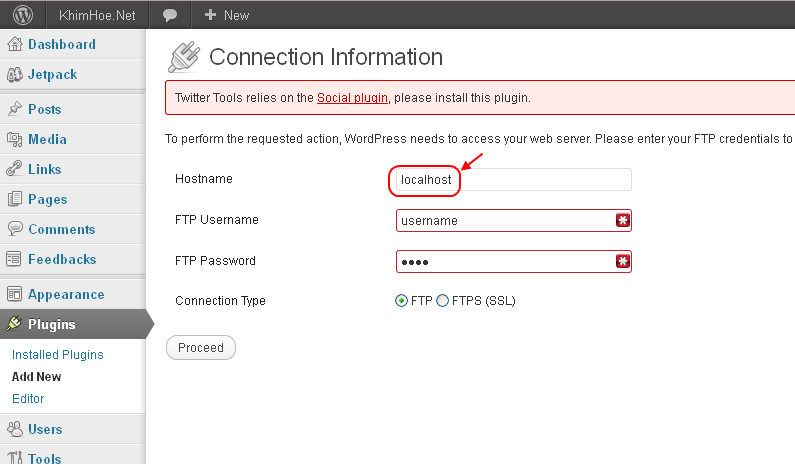 I was using the ftp.domain.com to upload, but it seems this is not working. All I need to is change it to localhost or 127.0.0.1! And I finally manage to update my plugins! This entry was posted in Wordpress and tagged plugin, Wordpress. Bookmark the permalink.